A resin kit that requires assembly and painting. Separately, adhesive, tool, paint etc are necessary. 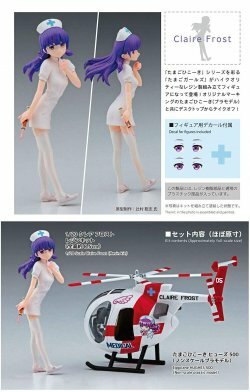 Simply enter your details below and we will send you an e-mail when “Egg Girls Collection No.05 `Claire Frost` w/Hughes 500” is back in stock!